The All Whites have enjoyed their first win under Head Coach Fritz Schimd when they defeated Chinese Taipei 1-0 last night in their second game of The HERO Intercontinental Cup in Mumbai. Both teams came into the game desperate for their first win of the tournament, after New Zealand had been beaten 2-1 by Kenya and Chinese Taipei went down 5-0 to India, but it was the All Whites who took the ascendancy in the hot and humid conditions to secure a vital three points. Schmid’s young side showed good character under pressure to stay alive in the tournament. The win was New Zealand’s first over non-Oceania opposition since 2015 when they defeated Oman away from home and it keeps them in the race for the Intercontinental Cup Final on 10 June. The coach must have felt like he had case of déjà vu as the All Whites again had countless scoring opportunities in the first half, but little to show on the scoreboard for their dominance. He made six changes in all to the side that went down in their opening game to Kenya, with two players making their debuts in goalkeeper Nik Tzanev and 17-year-old left back Liberato Cacace. The other changes included Myer Bevan, Te Atawhai Hudson Wihongi, Henry Cameron and Justin Gulley, with Alex Rufer, Adam Mitchell, Tim Payne, Max Crocombe, Dane Ingham and Matthew Ridenton retiring to the bench. Bevan opened the scoring for New Zealand when he converted a penalty in the 36th minute. All Whites midfielder Sarpreet Singh, who was awarded man of the match after an impressive display, was pulled down in the box during a promising attacking move and the referee did not hesitate in pointing to the spot. Bevan, the 21-year-old forward from Husqvarna FF, hit a strong shot into the right corner to score his second goal for New Zealand from his fifth international. It was a deserved 1-0 lead as the All Whites again had a number of attacking chances which they did not convert in the first half. The most notable came on the back of good crosses from Singh from the right flank. Jai Ingham, who switched from the right to the left for this game, had a double chance in the eighth minute on the end of a Singh free-kick which he could not put away. Fifteen minutes later, Bevan had a free header at the far post but his attempt was easily saved by Wen Chieh Pan. At the other end, Chinese Taipei were dangerous on the counter-attack with the pace of forward Hao-Wei Chen a constant threat, but they could not link in the final third. They resorted to a number of long range efforts which never troubled debutant goalkeeper Tzanev. The All Whites should have scored their second in the 55th minute. After Ingham had been denied by a good save minutes earlier, Singh was played into a threatening position from some good lead up work by Cacace but his shot from close range was deflected over the by-line. Chinese Taipei could have made them pay. Chen found some space at the edge of the box in their best chance of the night but he could not hit the target. Schmid brought on Clayton Lewis, Sam Brotherton, Payne, Adam Mitchell and Noah Billingsley on in the second half and the fresh legs helped the All Whites close out the game. The All Whites could feel aggrieved, Billingsley appeared to be brought down in the area, but it was not given. There was one final nervous moment when a Chinese Taipei header was hit at point blank range at Tzanev and the Wimbledon keeper was good enough to tip it over the bar. Opportunities fell for both teams in the final 20 minutes but they lacked the quality in finishing and it ended 1-0. It wasn’t the finished article but it was significant as Schmid’s first win in charge. 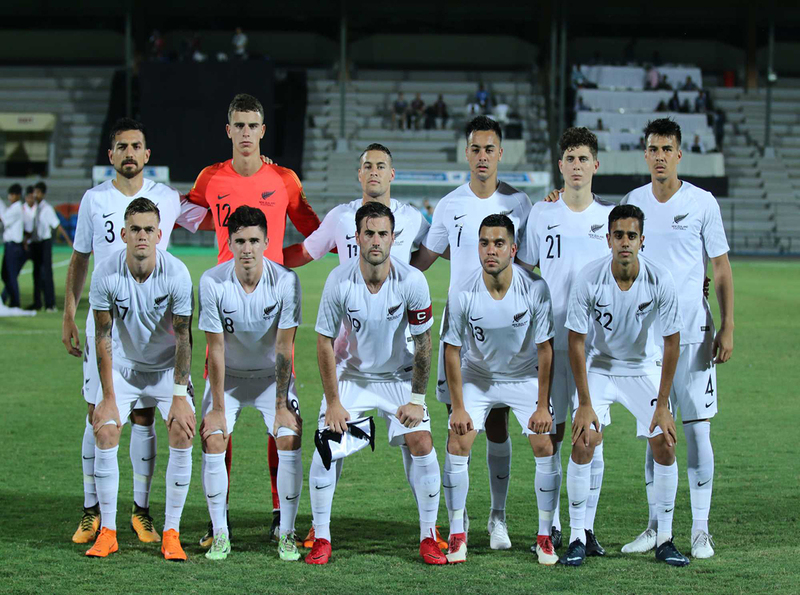 The All Whites will play their final pool game of the HERO Intercontinental Cup on Thursday night against the unbeaten tournament hosts India. It is one they need to win to make the final, unless Kenya is upset by Chinese Taipei.